We are on the eve of a historic decision. Federal regulators will soon make its first decision on whether or not to keep a 40 year old nuclear reactor operating. Officials assure us that Oyster Creek is safe, and has not harmed anybody. But is this assurance correct? Is the reactor safe? Where is their proof? The precautionary principle has been part of the public health profession for a long time. It isn’t a law, and definitions vary, but generally it states that “If an action or policy might cause severe or irreversible harm to the public, in the absence of scientific consensus . . . the burden of proof falls on those who would advocate taking the action.” This means government officials should demonstrate that Oyster Creek is safe. Where is their proof? An accidental meltdown could release massive amounts of radioactivity from the reactor core and waste pools. 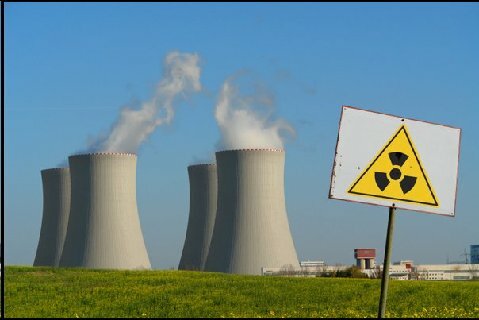 Many thousands would suffer and die from radiation poisoning or cancer. Officials say the chance of a major accident at Oyster Creek is virtually zero. But with a history of disasters like Three Mile Island and Chernobyl, plus many additional near-misses, is this true? Where is their proof? A terrorist attack is another way a meltdown could occur. Officials are so sure Oyster Creek is safe from a terrorist attack they don’t even include terrorism in their license extension criteria. But given that the World Trade Center was destroyed and the Pentagon damaged on 9/11, is Oyster Creek really safe from terrorists? Where is their proof? Like all reactors, Oyster Creek routinely emits radioactive gases and particles into local air and water. Officials assure us these releases are below allowable limits, and are safe. But is there any evidence that low level releases are safe? Where is their proof? Officials tell us emissions are so small they cannot be detected in the human body. But no government studies have ever measured radiation levels in bodies of Americans living near nuclear plants. Where is their proof? Officials maintain that emissions are so small they have no effect on cancer rates. But aside from one study ending 1984, government researchers have never examined cancer rates near reactors. Again, where is their proof? I and my colleagues at the Radiation and Public Health Project do not blindly accept these beliefs. Instead, we develop scientific evidence and base our conclusions on hard data. In the past decade, we have assembled considerable information suggesting Oyster Creek has harmed people. In the 1980s and 1990s, trends in local Strontium-90 levels and childhood cancer rates were the same. This is no different than if smoking and lung cancer rates were compared, and it established a statistical link between radiation and cancer. Our evidence has been obtained through official sources. Our analysis has been conducted using scientific principles. Our results match those from other scientific studies on low-dose radiation exposure. Our work has been published in medical journals, and made available to the public. More research is always needed, but the evidence is substantial. This is our proof. So what have officials done with this evidence? Unfortunately, they have ignored or criticized it, and stand by the slogan that Oyster Creek is safe – without proof. At the federal level, the Nuclear Regulatory Commission will decide whether to allow Oyster Creek to operate 20 more years or shut it down. At the state level, the Department of Environmental Protection should enforce radiation protection laws, and the Department of Health and Senior Services should conduct cancer studies. The state also has a Commission on Radiation Protection consisting of experts who advise the governor on radiation safety issues. Each of these groups was invited to make presentations tonight. But each declined. It is disturbing that those accountable to the public would not participate in such an important event at such an important time. Each of these groups has failed in their duty. They failed to prove safety, and attacked evidence indicating Oyster Creek is not safe. Their bosses need to be informed that they’re not doing their job. At the federal level, it’s Congressmen Saxton and Smith and Senators Lautenberg and Menendez. At the state level, it’s Governor Corzine and local legislators. This grassroots approach using scientific information works. Nearly half a century ago, scientists such as Benjamin Spock, Linus Pauling, Albert Schweitzer, and Barry Commoner informed the public of the dangers of atomic bomb fallout – which consisted of the same chemicals in nuclear reactors. Public protests ensued; and official assurances that fallout was safe because doses were too low collapsed. When President John F. Kennedy signed the treaty banning bomb tests, he noted the health risks of fallout, especially to children. It is up to each of you to ensure that the Oyster Creek decision is based on scientific evidence, not empty slogans. Until officials can furnish proof it is safe, I urge each of you to contact your leaders, and demand the reactor be shut down. Such action will serve the democratic process, and will ensure fewer of us will suffer the ravages of cancer.